Between Harvard, MIT, and other top universities; a thriving biotech scene fostered by premier hospitals; and the intellectual capital housed in Kendall Square alone, it's no surprise that Boston's startup scene is thriving. In fact, Cambridge and Boston took home the third- and fourth-most venture capital funding in 2015, behind only San Francisco and New York. With new startups being formed every day, which ones are in the sweet spot of proven success with room to grow? Our algorithm has identified the under-the-radar companies with the investors, influence, hiring trajectory and quality that are leading indicators of success. DataFox crunched the numbers to find the 7 early-stage startups located in and around Boston poised for a breakout year in 2016. We analyzed over 150 pre-Series A companies founded after 2012, and ranked them by our proprietary Growth Score, the output of a machine-learning algorithm to predict revenue growth. Here are the early-stage Boston area startups to watch in the coming year. View this list and get company data on the DataFox research platform. Top Flight Technologies customizes drones for commercial applications. Whether it's monitoring a property for security, taking aerial shots of a baseball game, or providing humanitarian relief, Top Flight can create a solution quickly and cost-effectively. Its hybrid propulsion engine set a world record of over 2.5 hours in flight with one gallon of gasoline, and has partnered with federally-backed MIT Lincoln Labs, Draper Laboratories and others. Founded in 2014, Top Flight Technologies just closed a $1.75 million seed round from ff Venture Capital, Neoteny Labs and Scrum Ventures in November 2015. Led by CEO Long Phan, COO John Polo and acting CFO Nancy DeCiccio, Top Flight Technologies is working to establish itself as a leader in the commercial drone space. Squadle, which offers services to automate day-to-day restaurant operations, knew it had a hit product when it landed Sonic Drive-In last year. Founded by Le Zhang, a Boston College graduate, and Brendan Bencharit, who previously owned a hookah lounge in Allston, Squadle's products include digital logbooks, connected thermometers, and durable touch-screen tablets. Having landed Dunkin' Donuts and Chick-fil-A in 2015, the company plans to ramp up its hospitality customers. Despite already earning revenue from paying customers and offering both hardware and software, the Squadle team is small and lean, with just 10 employees. The company raised a $1 million seed round from Bolt.io in August, and aims to combine its experience in hospitality with the Internet of Things boom to become the backbone of every restaurant. After Christina Bognet graduated from MIT, she learned to cook for herself. She started eating healthier, and eventually lost 50 pounds. Now, she's started a recipe subscription service to help other people stay healthy too. PlateJoy customizes each user's meals based on their weight, height and health goals, and sends users custom menus and shopping lists. PlateJoy raised $1.7 million in a seed round earlier this year from Foundation Capital, 500 Startups, celebrity investor Jared Leto and others. With a little cash and a differentiated product, PlateJoy is in great shape to compete in the weight loss market. 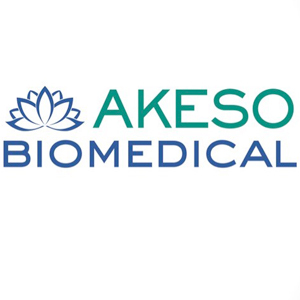 Akeso Biomedical is an early-stage biotech company developing treatments for bacterial infections and chronic wounds. Using a technology to prevent formation of bacterial biofilms licensed from the University of Nottingham (UK), Akeso aims to prevent food poisoning and bacterial infections, the annual costs of which are an alarming $9 billion and $30 billion respectively. In April, Akeso partnered with Banham Poultry to develop a feed additive that will reduce foodborne illnesses. If successful, it could set Akeso up for future partnerships down the line. Akeso is one of Boston's fast-growing biotech startups. Headed by MIT postdoc Simon Williams, Ph.D., the company recently raised a $1.12 million venture round from new investors. In 2016, look for Akeso to build on its commercial success with new research and applications. Another biotechnology standout, LuminaCare uses predictive analytics to help doctors prescribe the most effective drugs for an individual patient, and to predict a patient's response to those drugs. Its cloud-based platform aggregates patient data, and using proprietary algorithms, recommends data-driven interventions tailored to the patient. The company is gearing up to run patient trials in the U.S., U.K. and South Africa, and its product is right in line with President Obama's 2015 plan to fight superbugs in hospitals. LuminaCare recently raised a $125,000 pre-seed round that included Dr. Tawanda Gumbo, director of the Center for Infectious Diseases Research and Experimental Therapeutics at Baylor University. LuminaCare's CEO, Dr. David Howe, is a pharmaceutical industry veteran who has worked at Vertex Pharmaceuticals and AstraZeneca; its COO, Stephen Chiricosta, was previously worked as business development executive at BioPharma Technology. With a solution for a problem that's gaining national attention, LuminaCare is sure to find a willing market if its trials succeed. eduCanon makes online learning more engaging by allowing teachers to create and share interactive video lessons. Backed by AT&T and startX (also a DataFox investor), eduCanon traces its origins to 2013, when co-founder and CEO Benjamin Levy created the app during a Teach for America fellowship. The company has since been awarded the McGraw-Hill Open Education Resource Prize and the 1776 Global Challenge Cup Competition as the best education company worldwide. Founded by Levy and Swaroop Raju, the company has raised just $18,000 as part of LearnLaunchX's inaugural class, but has created both buzz and a solid product in the education space. Grove empowers consumers to grow fresh product in their homes, year-round. With the mission of promoting healthy living as well as moving towards more sustainable global agriculture, this team of MIT, Bose, Apple, and Harvard veterans created a visually appealing, easy-to-use "ecosystem"about the size of a bookshelf, complete with fruit and vegetable beds, fish, and microbes. The company is led by CEO Gabriel Blanchet and CTO James Byron, who started Grove together from an MIT dorm room and are now members of the Forbes 30 under 30 list. Grove picked up $2.05 million in a seed round led by Upfront Ventures in 2014 and an additional $1.79 million in a 2015 venture round. Participating investors have included productivity guru Tim Ferriss and marketing leader Gary Vaynerchuk. Grove is also taking full advantage of crowdfunding with a Kickstarter campaign. Campaign videos went viral around the world with over 10M views, and with over 500 backers (and just hours left to go in its campaign), Grove has proven that there's a market for well-designed, in-home agriculture systems.